When will be Little Boy Blue next episode air date? Is Little Boy Blue renewed or cancelled? Where to countdown Little Boy Blue air dates? 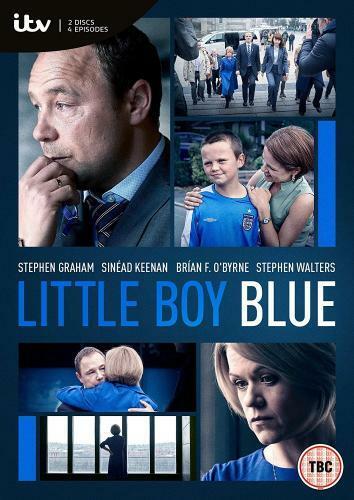 Is Little Boy Blue worth watching? Little Boy Blue focuses on the murder of 11-year-old Rhys Jones in Croxteth, Liverpool, in 2007. It explores Melanie's and Steve's ordeal, and tells the story of how Rhys's murderer and associates were eventually brought to justice. When eleven-year-old schoolboy Rhys Jones is brutally shot dead walking home from football practice, Detective Superintendent Dave Kelly (Stephen Graham) is charged with bringing his teenage killer to justice. His identity is well known, but finding the evidence to charge him proves to be a far more difficult challenge. As Rhys Jones is laid to rest, a police raid at the home of Kevin Moody (Michael Moran) leads to the recovery of the gun used in his murder. Moody must choose between being labelled a "grass" and risking retribution, or speaking the truth to clear his name. Unexpectedly, a forensic examination of the gun leaves the entire investigation hanging in the balance. When potential witness Claire Olssen is intimidated into changing her statement, the investigation team look for other ways to reinforce their case. As Steve returns to work, Kelly is offered a deal that tests his resolve. Mercer and his associates are tried for their roles in Rhys's murder. The verdict fails to bring closure for Melanie (Sinead Keenan) and Steve (Brían F. O'Byrne) as the fractures in their relationship come to a head. An unexpected setback leaves Kelly (Stephen Graham) with a tough decision to make. Little Boy Blue next episode air date provides TVMaze for you. EpisoDate.com is your TV show guide to Countdown Little Boy Blue Episode Air Dates and to stay in touch with Little Boy Blue next episode Air Date and your others favorite TV Shows. Add the shows you like to a "Watchlist" and let the site take it from there.